No terrain is too difficult to conquer for avid ultrarunner, Alex Borsuk. Hailing from Portland, Oregon, Alex can likely be found hitting the trail with her partner in crime, Peanut, by her side. 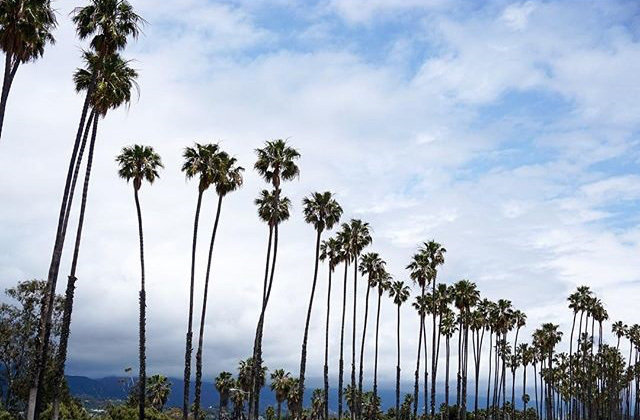 She just returned from an Instagram takeover in Santa Barbara, California as part of Alaska’s Weekend Wanderer series. For more Weekend Wanderer posts, make sure you’re following Alaska Airlines on Instagram. As an ultrarunner and adventurer, I typically find myself deep in the mountains. That’s why I was really excited when Alaska Airlines invited me to visit Santa Barbara to run the Santa Barbara Wine Country Half Marathon. I couldn’t wait to run around and explore Santa Barbara, taste some of the best wines in the United States, relax on the beach, and eat tons of tacos. Upon my arrival to Santa Barbara, I followed the “Taco Trail” and found as many local taquerias as I could find… and ate at all of them! Let me tell you, Santa Barbara has some really good tacos. It was fun to explore the city on foot, look at all of the gorgeous architecture and talk with the locals – everyone in California is so laid back and friendly. At night, I explored the many restaurants and bars in the Funk Zone – what a cool Santa Barbara gem. 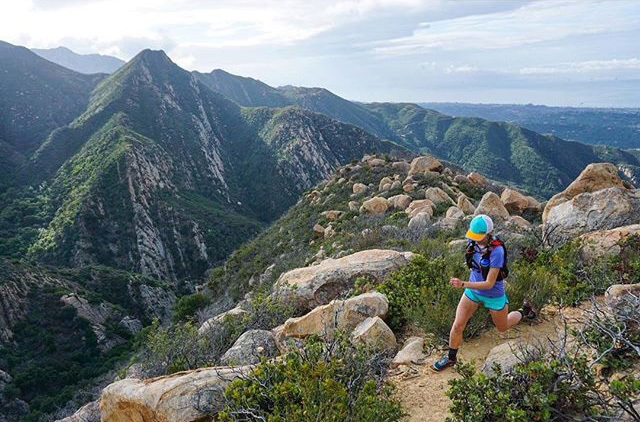 I spent a lot of my time in Santa Barbara exploring the trails from top to bottom, from trail runs in the Santa Ynez Mountains to runs on the beach along the Pacific Ocean. 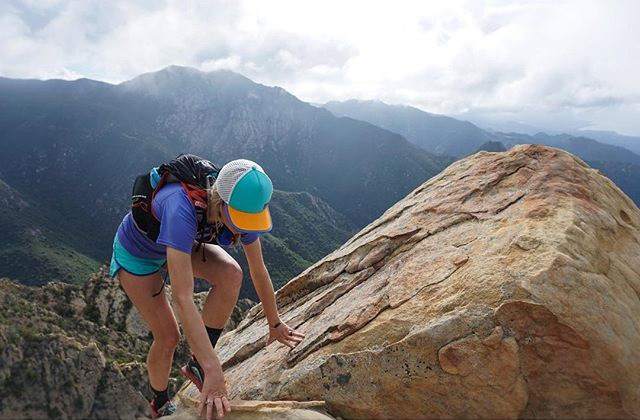 I especially loved running and scrambling my way up Cathedral Peak, located in Mission Canyon. However, one of my most memorable runs was through the Star Lane Vineyards. After the run, I went on a tour of the winery and was able to taste their wines directly from the barrels! It was fun to explore the vineyards from a totally unique perspective. 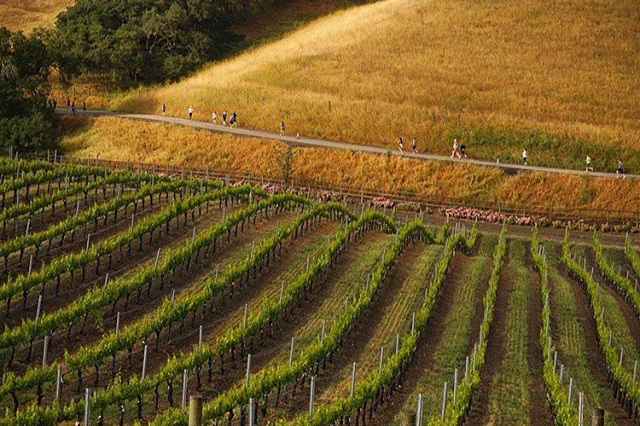 On Saturday, I ran in the Santa Barbara Wine Country Half Marathon. The course was entirely in wine country and the views were just gorgeous. Afterwards was the real party though. I was able to taste many wines from the region while hanging out outside with other runners. It was such a great atmosphere – why can’t all races be like this? After the half marathon, I went to some local hot springs so I could relax my tired legs. 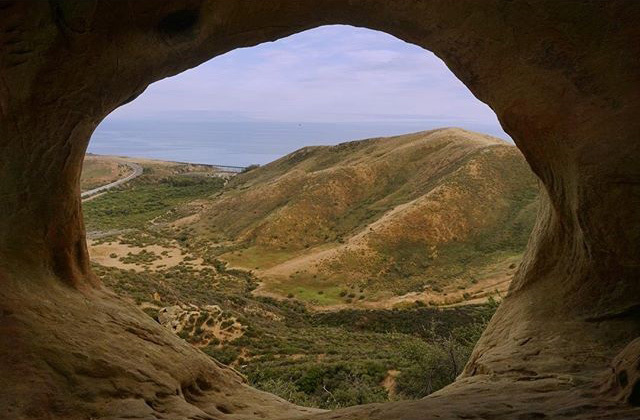 It seemed to work, because after the hot springs I ventured out on another hike to Gaviota wind caves. I watched the sun set over the Pacific Ocean from inside the wind caves – such a spectacular end to a busy day! Time in Santa Barbara wouldn’t be complete without a trip to the beach. It was nice to spend Sunday relaxing in the sand and watching all of the surfers at Rincon Point. I love the mountains, but there is nothing quite comparable to that refreshing ocean breeze! As I look back on this trip, it is amazing to me how many things I was able to do in a weekend. 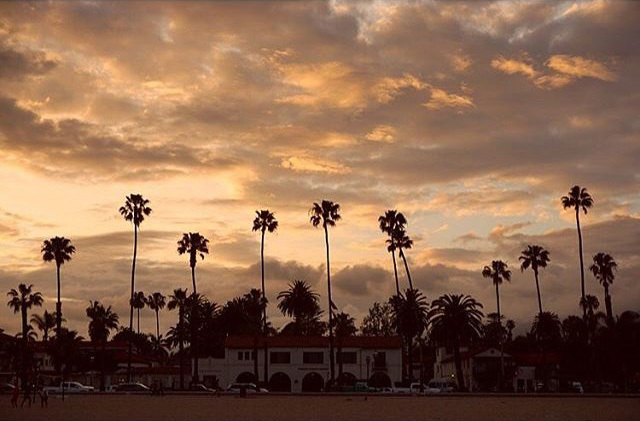 From running and hiking, to wine tasting and relaxing on the beach, Santa Barbara is a perfect spot for the weekend adventurer. There is so much to do there, and I can’t wait to return. Hey guys! It’s Alex, your #WeekendWanderer! I’m stoked to be taking over the @alaskaair account this weekend and sharing my adventures in Santa Barbara as I run my way through wine country. Cheers! Spent the morning running around the mountains in Mission Canyon. Boy, is this place gorgeous! 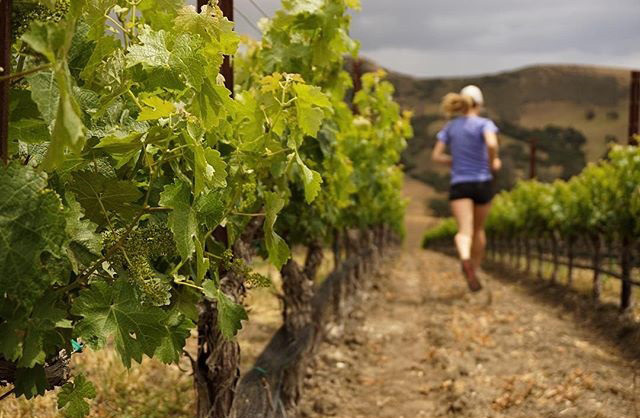 My legs feel nice and loose for tomorrow’s race – the Santa Barbara Wine Country Half Marathon! For breakfast, we had Santa Barbara’s best scramble. Today I had the pleasure of touring a winery in the American Riviera. The vineyards were so beautiful that I just had to do a little jog through the grounds — followed by tasting some delicious wine, of course! Wow, just wow! This morning I ran the Santa Barbara Wine Country Half Marathon. Talk about a gorgeous course… it was absolutely breathtaking. What a fun race through wine country! Today was a busy one! First was the half marathon in wine country, followed by a visit to the hot springs, more wine tasting, and then a short hike to the wind caves. This area as a (w)hole is pretty amazing! I’m exhausted… until tomorrow, guys! 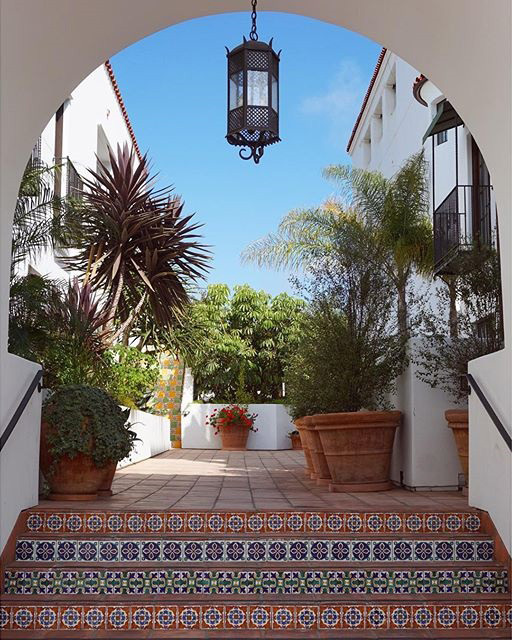 Santa Barbara is so colorful – from the sparkling blue ocean and luscious green mountains & vineyards, to the bright and vibrant architecture throughout the city. Paradise on the California coast! Sundays are made for relaxing! I’m spending the day on the beach in my hammock… this is my view! 1 comment on "Weekend Wanderer: Portland, Oregon to Santa Barbara, California"
great description of Santa Barbara and weekend vacationing..